I have spent the better part of my life keeping secrets, State secrets family secrets, emotional secrets. I have guarded them, held them close to my heart, and locked them in my mind. Each secret has given me moments of pride, of joy, of pain. But there is one that has been breaking my heart since 1962. It may have saved my country, but has most certainly cost me a piece of my soul. This is the secret of Eliahu Cohen, Israel’s most famous spy. Eli has been dead for 40 years now, and though I did not kill him, I am fully aware that my failure to disclose what I knew my have sealed his fate. Like Eli, I was a member of Israeli Intelligence, a Mossad agent, now retired. It was the intersection of our lives in that agency that led to my personal hell. I will tell you this story, but let me start closer to the beginning. In 1914, our father, Shaul, then 12, and his parents left their home in Aleppo, Syria and immigrated to Alexandria, Egypt. Thousands of Jews fled Aleppo that year, and our mother, Sophie, seven at the time, was among them as well. Egypt was the land where our parents met and where Eli and I were born- he in 1924 and I three years later. We were the second and the third of eight children, seven of whom who survived to adulthood. As Jews, we were double outcasts. Egyptian Muslims were growing increasingly hostile towards Jews, and the British who ruled Egypt until 1954, did nothing to temper the discrimination. From our earliest childhood, we knew that we were interlopers in Egypt and longed to create a place where we could truly belong. By the time I was ten, the Zionist movement had gained considerable momentum among young Jews like myself. I joined the Halutzim, the Pioneers a kind of boy scouts for Zionist youth, and by the age of 14, I was a troop leader. We scouts were all-out nationalist for a country that did not yet exist, and our mission was to use our knowledge of Jewish history and culture to inspire younger Jews to join us. Though not yet adults, we sought to hasten the creation of the Jewish State, a land where we could celebrate our heritage without fear or shame. Eli, already too old to be a scout, was active in the Zionist underground. Egyptian law required all males, including Jews, to serve in the army, but he was rejected on the grounds of questionable loyalty. Instead, Eli enrolled at the University of Cairo to pursue a degree in electronic engineering. At the University, Eli and other Jewish students were persecuted by the Muslim Brotherhood, so he withdrew to continue his studies at home, which I later learned had given him more freedom to work on behalf of the Zionist cause. We, his family, were blissfully ignorant of the fact that Eli was already on shaky ground with the Egyptian authorities. This was the first of Eli’s many secrets. When I was old enough for the army my father arranged for an exemption and pulled strings to get me appointed to the King’s Guard. In 1946, I went to work as a file clerk for the British Army at the Royal Army Forces Corp head quarter in Ismailia. At night, I studied accounting at La Societe de Comptabilite de France and architecture at the British Institute of Engineering Technology. But conditions for Jews in Egypt were worsening. One evening, I was arrested and, having no legal identification in my possession, was incarcerated. In the absence of a proper jail, my captors kept me in an outhouse for the night before taking me to Ismailia for arraignment. Sitting in the car along the way, I became gripped by fear when I realized that I had nationalistic Israeli songs written in Hebrew in my pocket. Cautiously, I ripped the papers into tiny pieces, chewed them to a pulp and threw them out the window. When we reached the police station, a small piece of the paper remained in my pocket. I needed an efficient way to rid myself of the songs. A janitor cleaning the floors became my only opportunity to divest myself of the last scrap. I wrapped it in a one-pound note and dropped it to the floor. The custodian saw the bill and quickly put his foot over it to claim it for himself. The paper landed in the garbage, courtesy of the cleaning man who had eyes only for the money. It was my first act of espionage. Shortly thereafter, I was discharged from Royal Army Headquarter and it became clear that I wouldn’t be able to find another job in Egypt. It was 1948; Israel had declared statehood and the situation for Jews in Arab lands was becoming ever more dangerous. Consequently, my family decided that my sister Odette, my brother Ezra and I would make aliyah. It was around that time we first learned Eli had become involved with the Haganah (the underground military force in Israel from 1920-1948 that eventually became the Israel Defense Forces). Mutual friends told me that Eli was connected to people who could produce forged visas for Jews seeking to leave Egypt. When I had difficulty getting my exit papers, I went to Eli and sought his assistance. He denied that he could help. I now understand that his denial was an essential act of self-preservation. Abetting a family member would have compromised his cover and placed him at risk of imprisonment, torture and death. In time, after much trouble, Ezra, Odette and I received our exit papers and departed for Brindisi, Italy, where we obtained the necessary documents to enter Israel, Ezra was 19, the perfect age to join the now official Israel Defense Forces. I was 21 and took a job at the post office. Eli remained in Egypt with the rest of our family. But from 1950 on, a new wave of persecution was unleashed against Egyptian Jews. Like thousands of other Jewish families, my parents and younger siblings let everything behind and immigrated to Israel. Eli stayed. He was now a member of the Israeli intelligence unit that was attempting to sabotage Egypt’s relationships with United States, Britain and other Western powers. Unbeknownst to us, training and planning were underway for what would later be called the Lavon Affair, after Israeli Defense Minister Pinhas Lavon. This spy network, code named “Susanah” was designed to penetrate attack and disrupt civil and military installation within Egypt. In 1952, the free Officers Movement, a revolutionary group backed by the British and led by Gamal Abdel Nasser (who would become President of Egypt), toppled King Farouk. That same year, Eli was arrested, along with many others on suspicion of engaging in Zionist activities. Eli was questioned extensively by the Egyptian Muchabarat (intelligence agency), but no concrete connection to any subversive movement could be established. Around this time, my brother was sent to an espionage course in Israel. It had been years since we’d seen our Eli, so you can only imagine our excitement when he telephoned Odette to divulge that he was in the country. She immediately told me the name of his hotel in Tel Aviv, and I jumped in my car to see him. But I missed my chance. His superiors discovered that he had contacted us and spirited him away before I arrived. He was sent back to Egypt. In 1953, the Egyptian authorities uncovered the Jewish spy ring, which promted the Lavon Affair, and took 11 Jews into custody, Eli among them. Once again, he was released for lack of evidence. Eli’s comrades were not so fortunate. Two were hanged, the others imprisoned. The incident sparked official attacks on Jewish homes, and over the next three years Egyptian Jews were arrested in droves. In December 1956, Eli was expelled from Egypt for good. 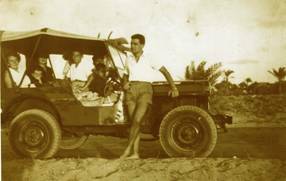 With the help of a Jewish agency in Cairo, he crossed the Mediterranean and made aliyah by way of Naples; he moved in with our parents their apartment in Bat Yam and petitioned for a position as a translator for Israel Intelligence Operations. Despite his facility for languages, his extensive intelligence training and his role in the Israeli underground, he was turned down because he was not proficient in Modern Hebrew. Now a private citizen, Eli found work as accountant and inspector for HaMashbir, a chain of retail stores. For a time, it seemed he would just assimilate into Israeli society, obscure and anonymous. I smile to think how he must have enjoyed this brief reprieve from espionage. I, meanwhile, had become fluent in Hebrew and made great strides in both my personal and professional life. In 1952, I married Hanna Shirazi and took a job as district substitute for post-masters who were ill or on leave. A year later, Hanna and I had our first son, Shaul. Not long after, I became Post master in Eilat. Like all other Israeli men, I also served in the military reserves. While on duty I was constantly asked to join Army Intelligence, but I was a happily married man with growing family and had not the slightest interest in being a hero or in leaving the happy nest I was feathering. So I turned down all offers. All of us Cohens, as a matter of fact were immersed in our private lives. Even Eli was to find true love above ground. It was I who introduce Nadia Magled to my big brother. We made all the necessary arrangements, and when Nadia and Eli met, it was immediately clear that they were meant to be together. At age 30, Eliahu cut a dark, handsome figure; he was well spoken and polite. Nadia, 25, was shapely, olive-skinned and slightly taller than Eli. They were married in August 1959 in a modest ceremony at a Sephardic shul in Tel Aviv and settled near our parents in Bat Yam. Eli, Nadia and soon had their first daughter, Sophie, and they comfortably blended into the landscape of middle-class Israel. Meanwhile, Israeli intelligence continued to try to recruit me and, in 1960, I took a leave of absence from my job to accept an officer’s commission. Given my knowledge of many languages, I specialized in cryptology. Eli, now fluent in Hebrew, was also sought after by Israeli Intelligence. He was recruited by the Agaf Ha-Modi’in, a branch of the Israel Defense Forces known by the Hebrew acronym AMAN, meaning simply “intelligence branch”. Enjoying the idyll of home and family, Eli initially refused to enlist. Then, rather mysteriously, he lost his job at Ha Mashbir and, unable to support his family, finally accepted the offer from AMAN. After an intensive training period and transfer from the IDF to the Mossad, Eli was dispatched to Argentina. We have family in that country, and some years later, I met our aunt, our mother’s sister, who told me she had seen Eli there. Eli had explained that he was merely a tourist who brought regards from her nephews in the old country. She suspected, but never knew for a fact, that he was her nephew. What a risk my brother took being cordial with our family members. Yet it was precisely our family background that made Eli so valuable to the Mossad. Eli, like the rest of us, had spent his childhood absorbing the Aleppo-accented Arabic spoken at home and had heard enough stories about Syria to allow him to appear familiar with its intricate twists and turns. The Mossad recognized this opportunity and transformed Eli into a new man. Literally, my brother became Kamel Amin Sa’bet, rich Syrian emigre who had inherited vast wealth and a thriving family business from his father. Kamel Amin Sa’bet conspicuously spent his money (provided by his bosses at Mossad) hosting parties for the local Syrian community, making it clear to anyone who would listen that what he really desired was to be back in Syria, contributing to the growth of its government and working toward the destruction of Israel. He was a talented actor, my brother. He quickly gained the trust of Syrian businessmen privy to the whereabouts of Adolph Eichmann, who was living in Argentina under the assumes name of Richard Klement. Later, while in Syria, Sa’bet was introduced to Karl Rademacher, a senior Eichmann aide who had been involved in the mass murder of Jews before joining the Syrian secret service. But Eli’s target was Syria itself. In 1960 and 1961, several military coups upended the Syrian government (and its brief union with Egypt as the United Arab Republic), leaving the Ba’ath Party - a secular Socialist Arab group - in control. With the help of the Argentinean Syrians, Kamel Amin Saabet, an avowed Ba’athist, traveled through Zurich, Egypt and Beirut to Damascus, where he was introduced to some of the most influential men in the highest echelons of government. Sa’bet convinced them that he was willing to give his fortune, his hard work and his life to Syria. He settled easily into Damascus society. The rest of us Cohens, of course, knew nothing of Eli’s other life. He told us that the Israeli government had charged him with the purchase of spare computer parts and other electronic instruments that were off limits to Israelis, for fear they’d be used for military purposes. This job, he added, required him to be based in Europe but travel widely. Looking back, I see I was naïve to believe these fairy tales. But I bought into his lies as easily as did Nadia. Our Man in Damascus was an incredibly productive spy. In 1962, he solidified the Syrians’ trust in him and was invited to attend the Sixth National Convention of the Ba’ath Party. As a highly respected member of the Syrian National Council of Revolutionary Command and a volunteer for Radio Damascus, our spy had intimate access to both open and closed sessions of the party. He managed to expose Syria’s plans to cut off Israel’s water supply by diverting the headwaters of the Jordan. He also provided the details of a plan drawn up by the Palestinian National Liberation Movement, to attack northern Israel through guerilla warfare. Armed with this knowledge, the Israeli government bombed Syria positions, preventing Syria from destroying the Israeli settlements of Dan, Dafne and Shear Yishub. Through a twist of fate, I was made responsible for the codes Mossad “activators” used to communicate with Our Man in Damascus. He and his contacts typically sent messages that ended with a personal tidbit. It was these postscripts that led me suspect that Our Man in Damascus was none other than my brother, Eli. One day a postscript read, “Did Nadia get the Singer sewing machine I sent her?” No code words “Nadia” or “Singer Sewing Machine” appeared in the code book. My superiors informed me that I was not cleared to decode such top secret sensitive materials. I asked my sister-in-law and learned she had indeed recently received a sewing machine. This astonishing discovery was confirmed when another message concluded with, “Mlle Fifi a commence a marcher”. [ Miss Fifi has began to walk.] I knew that my niece Sophie had been delayed in taking her first steps and that Eli had been concerned about it. Now that I was certain Our Man in Damascus was my own brother, the secret gnawed at my insides, and I was dying to reveal it. But to whom? And to what end? I was tortured by the knowledge of my brother’s high risk mission. I had ferreted out the truth; now I had to swallow it and keep it deep with my belly. Some month later, Eli visited and presented young Sophie with a pair of velvet slippers. Embroidered with golden thread, the shoes had sizes in Arabic numbers imprinted on the soles. “Where did you get these slippers?” I inquired. He bought them at a department store in Paris he said. "But", I argued, “why would the sizes be written in Arabic for French sale?” He chided me for interrogating him and said that they were probably manufactured in an Arab country and exported all over the world. He then abruptly and definitively changed the subject. I decided I had to hear the truth directly from Eli. He knew that I had a hard time getting telephone service in my new apartment. “You work for the Postal Service,” he remarked one day, unaware that I too was a Mossad agent. “it should be easy you to get a line.” I told him I now had a phone and gave the number of his apartment in Damascus, which I had received in a message just before he’d come home. He began writing the number but stopped abruptly and, looking flushed and flustered, mumbled under his breath about needing to run out to the supermarket before it closed. I had gotten under his cover. Soon after, my commanding officers summoned me to my base and informed me that Eli had spoken to them about the phone number incident. They warned me not to discuss the issue with Eli anymore and to share his secret with no one. And so the truth remained trapped within me. If I shared the secret with my family, even if they could keep it, I would cause them unspeakable worry and pain. If I breached security and told anyone else, I would place my country in a vulnerable position. One word from me, and Eli’s mission could be aborted, his life endangered. My brother had bravely chosen to put himself in danger to protect his country. I chose to honor his commitment, leaving his fate in God’s hands. Eli returned to Israel in 1964 to be present at the birth of his third child, his son Shaul. This time, Nadia begged him to stay. He promised her this would be his last trip abroad before returning for good. And so Our Man in Damascus returned to Syria for one last bout of espionage. He ascended to new heights of power in the Ba’ath Party. 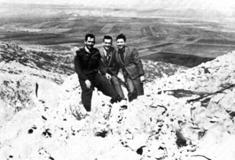 With friends in high places who escorted him to high security areas throughout Syria, he managed to photograph strategic strongholds on the Golan Heights. The clandestine information he sent back later aided Israel’s victory in the Six-Day War. With the help of Soviet tracking, the Syrian government was able to identify the spy who was transmitting its secrets to Israel. In a pre-dawn raid on his home, Kamel Amin Sa’bet was arrested and imprisoned. He was tortured and tried without counsel. At the time of his arrest, Kamel Amin Sa’bet AKA Eliahu Cohen was third in the line of succession to become president of Syria. Five months after his arrest, on May 18, 1965, Eli was hanged before a crowd of more than 10,000 vengeful Syrians who jeered him as he died. The hanging was televised and we --- his family in Israel --- watched helplessly as our beloved son, husband, brother and father was executed. I indict myself anew on a daily basis. What else might I have done? How might I have saved my brother from such unfathomable suffering? Could I have protected my mother and my sister-in-law, my nieces and nephew, my brothers and sisters, from such pain? As my own judge and jury, I find myself both guilty and innocent. The verdict tortures me. But in the end, it was Eli alone who could have broken the chain events that took his life. He chose on his own, without the luxury of discussion with his wife or friends or family, to give himself to his work. He heeded a higher power; a greater good. When God commanded Moses to send spies into Israel to chart the land and study the people who were living there, He wrote Eli’s fate. Each day of my life, I remind myself that nothing I could have said or done had the power to change that. Maurice Cohen vowed to his mother, as she lay dying, that he would make it his life’s quest to ensure that the bones of his brother Eliahu returned to their rightful resting place in Israel. But to this day, Eli’s remains are still in Syria and have not received a proper Jewish burial. Eli’s family, including his wife Nadia and daughter Sophie Ben-Dor, continue to fight for the return of Eli’s body. To offer support to the family’s efforts, or simply to learn more about the Cohen brothers, visit: http://www.elicohen.org.